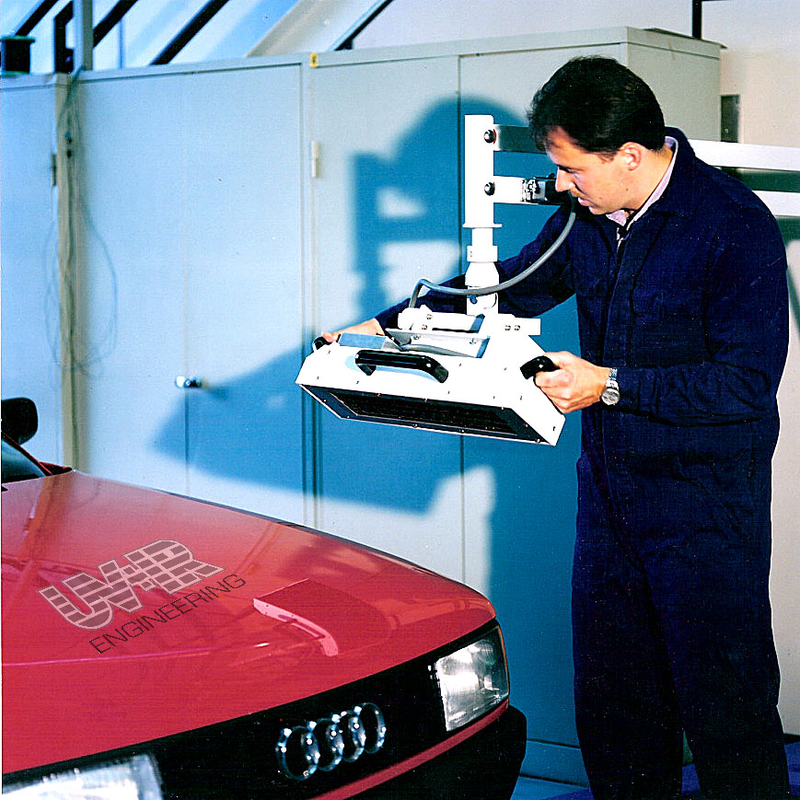 UV+IR Engineering is the market leader in the supply of tailormade IR drying equipment to the automotive manufacturing and repair industry. 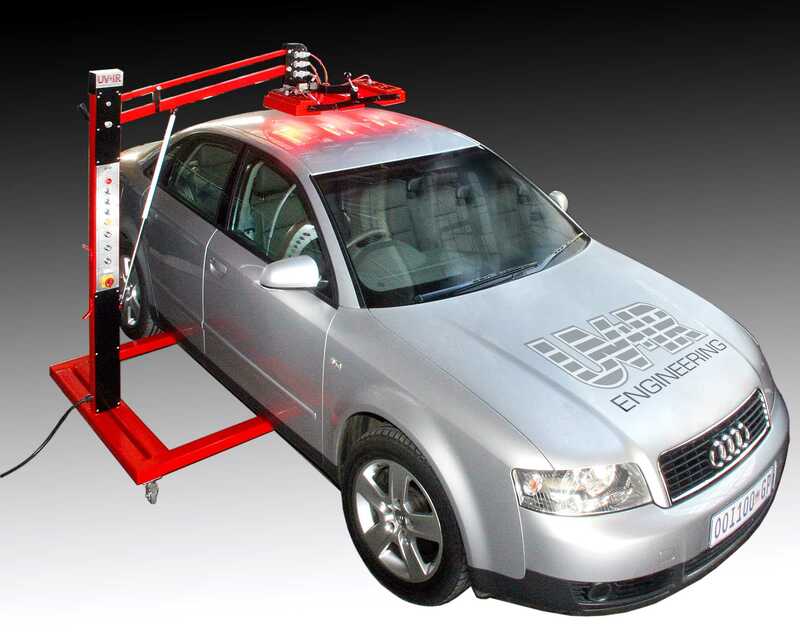 Clients such as Daimler SA, General Motors, Toyota, Opel, Mazda use our range of equipment. 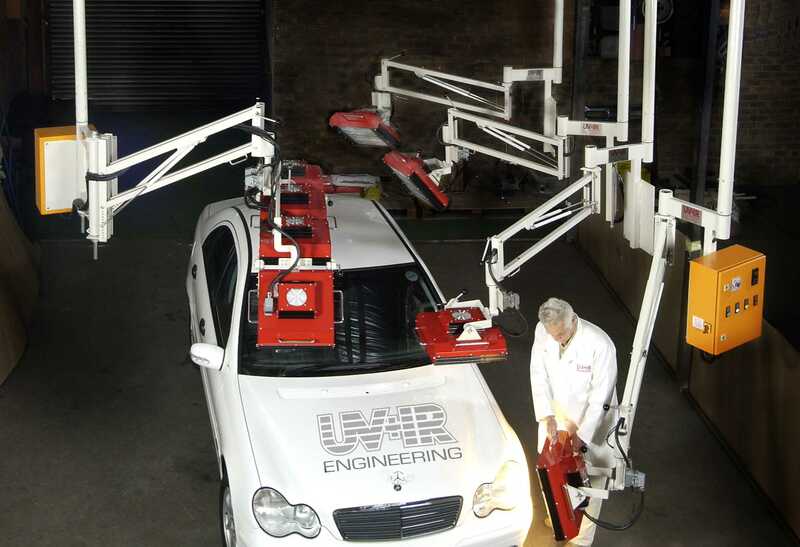 Our range covers everything from small spot repair systems to “big panel” repair equipment. We supply custom-designed handheld units and adjustable mobile manipulators for the repair of hard-to-reach panels such as the roof. 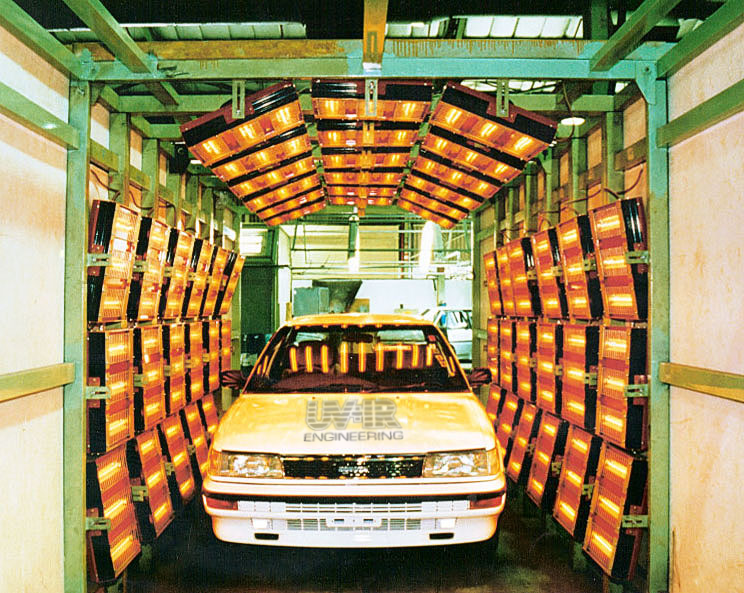 IR heat is used worldwide by the automotive industry because it provides you 100% control over the application and duration of the heat. Instant heat enables you to speed up the repair process. This also improves the quality of repairs and reduces the need for polishing. IR heat is clean and safe. There are no pollutants or by products that can negatively affect the health of your employees. PLC controlled, fully automatic large panel heater (Mercedes Benz – East London). 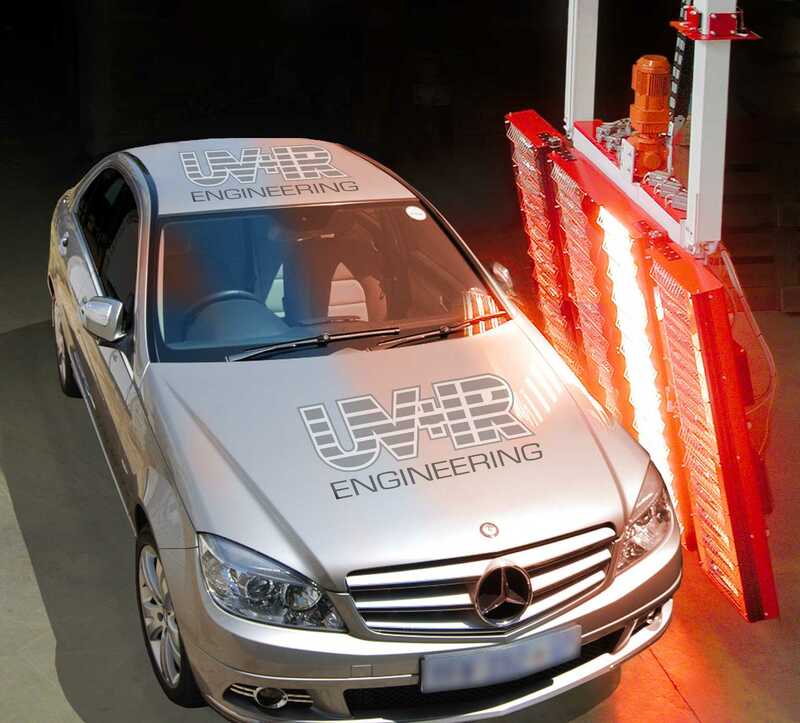 Single panel heater mounted on weightless support frames (Mercedes Benz – East London). Mobile panel heater complete with flash off and full bake control cycle. Single lamp spot repair unit on overhead support structure.